Audi A4 Avant vs BMW 3 Series Touring vs Mercedes C-Class Estate | What Car? All three estates use premium materials on most surfaces, and you’ll have to delve into the footwells to find any hard plastics. Equally, the switches in each feel solid, but the Mercedes C-Class Estate and Audi A4 Avant add a layer of style and quality that the plainer BMW 3 Series Touring can’t match. One bugbear in the C-Class is the central fascia, which creaks when pressed – not the kind of flaw you’ll find in the A4, which feels incredibly well built. The C-Class also misses out on sporting touches, such as the upgraded steering wheel and styling accents of the A4 and 3 Series – you need to upgrade to AMG Line trim for those. However, the C-Class fights back with heated electric seats and adjustable lumbar support. The Audi also has adjustable lumbar support, but you have to pay extra for all of the above on the BMW. Front head room is similar in the 3 Series and A4, while our test C-Class was tighter for taller drivers due to its optional panoramic sunroof. All three have sculpted front seats, but the BMW’s hold you in place best through corners. Visibility from the driver’s seat is good in all three, although the BMW has a smaller rear screen. The 3 Series has the best rear head and leg room and reasonable space for the middle seat passenger. The A4 has the widest rear cabin, whereas the C-Class has the least rear leg and head room, although there is room for two six-footers. The sting is arguably in the tail in this group, and on paper there’s little between them. Boot space ranges from 490-505 litres with the seats up and 1500-1510 litres when they’re folded, and all three have 40:20:40 split-folding rear seats as standard. 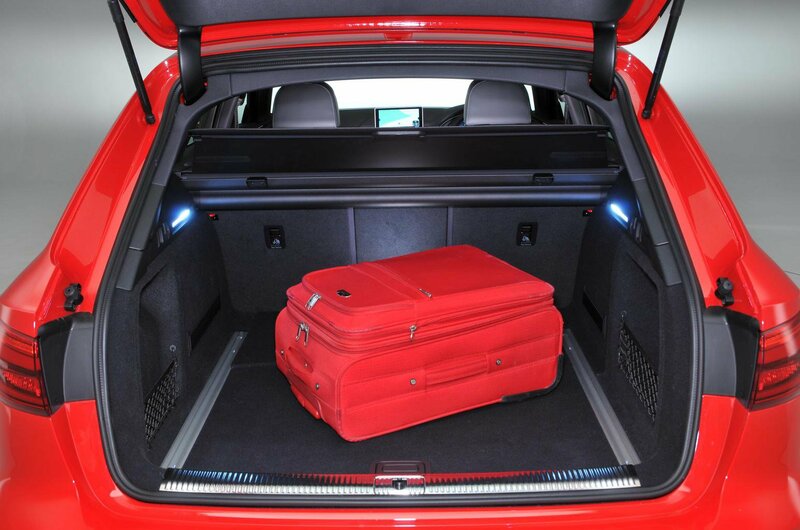 A powered tailgate is standard in all three estates, and the A4 and C-Class also have an automated electric luggage cover that rises automatically when you open the boot – the handy feature isn’t even on the 3 Series’s options list. 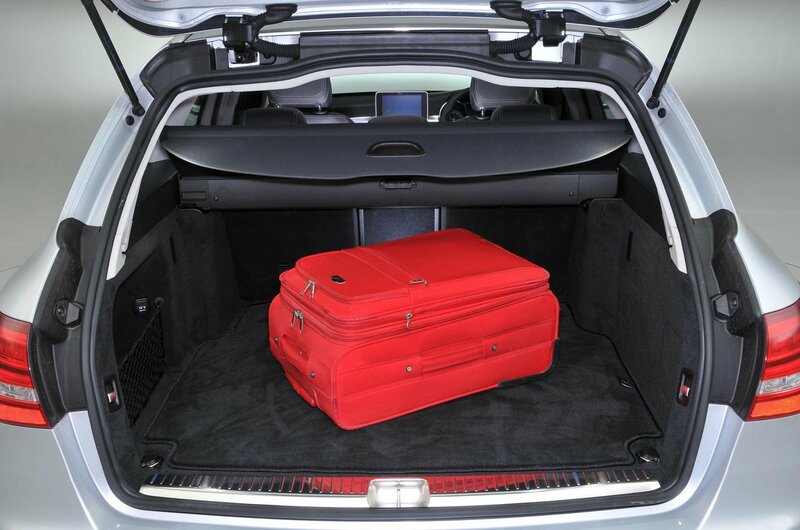 The A4’s boot is the longest (with seats either up or down) and widest; it has the most uniform shape and the smoothest step between the boot floor and folded seatbacks, although there is a small slope in the extended load bays of all three. All offer some underfloor storage, but the 3 Series has most, while the C-Class has the widest boot opening, the smallest lip (just 2cm), and one-touch switches at the boot opening to drop the rear seats. 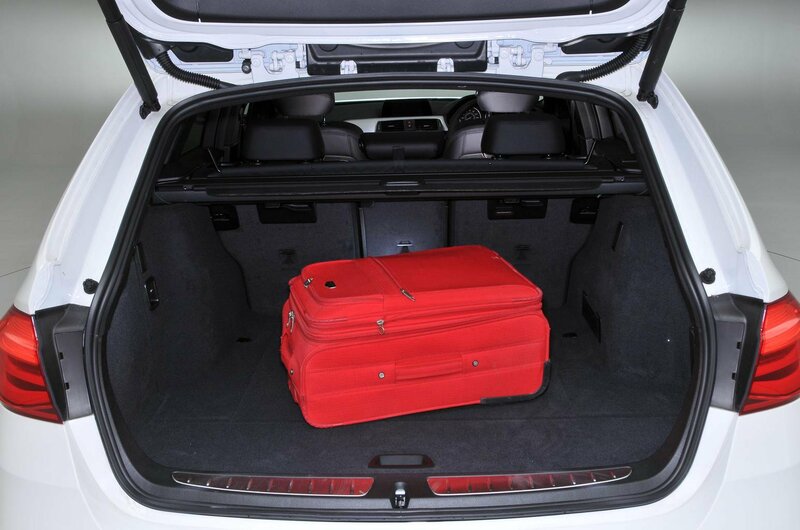 The A4 and C-Class have handles on the walls of the boot that effectively do the same job but aren’t as convenient.